Mr. Dang is Vice President of Finance for Next Edge Capital Corp. (Next Edge Capital). Cheng is responsible for financial management, planning, internal and external reporting, and tax compliance of the company and its funds, internal controls, and alongside the COO, David Scobie, operations and compliance. Cheng is also closely involved in product structuring, risk management, and the overall strategic direction of the firm with the executive management team. Cheng is a Chartered Accountant and Bachelor of Commerce graduate from the University of British Columbia. 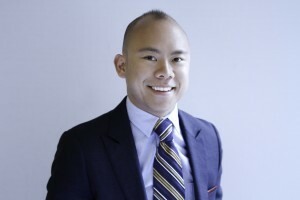 Prior to the formation of Next Edge Capital, Cheng was the Controller for Man Investments Canada Corp. and had a broad range of financial responsibilities for the Canadian office of Man Group plc. Cheng has had a diverse range of experience in public practice, industry and entrepreneurship. He started his career with Deloitte Vancouver, coming to lead engagements for public and private companies in a variety of industries. Following this he started and ran two successful fast food franchises before returning to industry in senior financial (Controller) roles.